Promotional polo shirts are very versatile clothing items and provide a great way to advertise your business and organisation. Polo shirts will typically be branded with an embroidered logo and are available with either a pure cotton or cotton/polyester mix to be hard wearing. 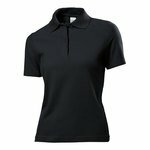 Please have a look at the polo shirts we show below. For each we show the specifications, material type and colour options. If you need help and advice regarding potential colour options or artwork advice please let us know. We have a Price Match guarantee and won’t be beaten on price so if you find a lower cost alternative let us know and we will see what we can do to meet your budget. Please contact us if you would like an embroidered polo short sample. At Redbows, we have a wide selection of personalised polo shirts, so we have something to suit all tastes. Whether you’re looking for a fitted women’s polo shirt, or a more free-flowing men’s polo shirt, we are confident we can find the perfect printed garment for you. 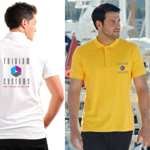 Polo shirts branded with a logo provide a super way to maximise your advertising on a daily basis. When you provide branded workwear like this your logo can be on show during every working hour and even longer if the items are worn outside work as well. All of our printed garments can be printed with your logo or marketing message. We typically apply an embroidered imprint because of the material background. Screen printing can only be used on very finely textured and smooth cloth finishes. 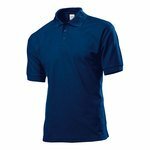 Promotional corporate clothing like the polos in this collection are a great way to advertise your business and create more of a team dynamic. 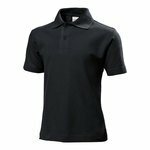 When you introduce promotional clothing and polo shirts like this, they tend to spread around a business in terms of who wants to wear them. Typically, items are worn by customer facing staff like service and installation engineers or factory or production staff. Other staff seeing this may also want their own and all of this can add to team morale and cohesiveness. It is not just work environment where branded t-shirts can have an impact. In schools and colleges and especially when used for field trips, items like this can again bring a group together as well as helping teachers and staff to identify group members. T-shirts branded with a logo can also be worn for sports like golf, squash or tennis or as team clothing to wear to an event like a football match, rugby or cricket match. Other uses include charities who may use clothing like this for fundraising events. Branded clothing like this sends out a very professional statement and message to those that see it. A key consideration is to consider the overall colour for the garment and to select one that compliments your logo. Often clients will go for a colour that matches a primary colour from their logo and then ask us to apply a negative version of their logo. Alternatively a positive version of their logo can be used against a contrasting material colour. It is important to note that washing guidelines are followed for branded clothing like this. When washed incorrectly at the wrong temperature the embroidered part of the garment can shrink leading to creasing around the stitching and edges. 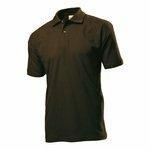 Washed correctly, promotional polo shirts can provide a long period of service. Just remember that from a hygiene point of view it is important to provide anyone who is to wear one with a sufficient number to allow a daily change and extras just in case of damage during the working day. Can you colour match a Polo Shirt? Yes we can colour match if a client provides a copy of their logo or the Pantone colours used in the logo. We will suggest either our nearest coloured polo shirt from stock or offer the option for a bespoke manufacturing run if the quantity is high enough. How long with a promotional polo shirt last? Polo shirt garment material quality is an important factor. If you purchase a good quality polo shirt and follow the print guidelines then it should give one to two years of good usage if not more. It all depends on usage and washing regime for a quality material. What’s the best colour for a polo shirt? When you place an imprint onto a promotional polo shirt you really want to be able to see the imprint. This means that you either need to choose a colour that provides a good background for your logo in its natural print colours or one that provides a contrast when it is a negative version. A lot of companies and organisations choose a colour from their logo for their polo shirt colour and then ask us to apply a negative version of their logo. The negative version is typically white to give a contrast to the material colour.